KD201A – KNOCK DOWN – SENTINEL™ AUTOMATIC BVT DISPENSER – KUUS Inc.
1 X 9 Volt battery. For constant protection against insects. The BVT dispenser is ideal for use in: restrooms, restaurants, homes, offices, cottages, farms, schools, resorts, hospitals, gyms, food service establishments, kennels, veterinary clinics and industrial plants. ALWAYS READ THE PRODUCT LABEL OF THE INSECTICIDE CAREFULLY BEFORE USING PRODUCT IN BVT- click on the “PMRA” tab (Pest Management Regulatory Agency) tab to view the full label in English and French. 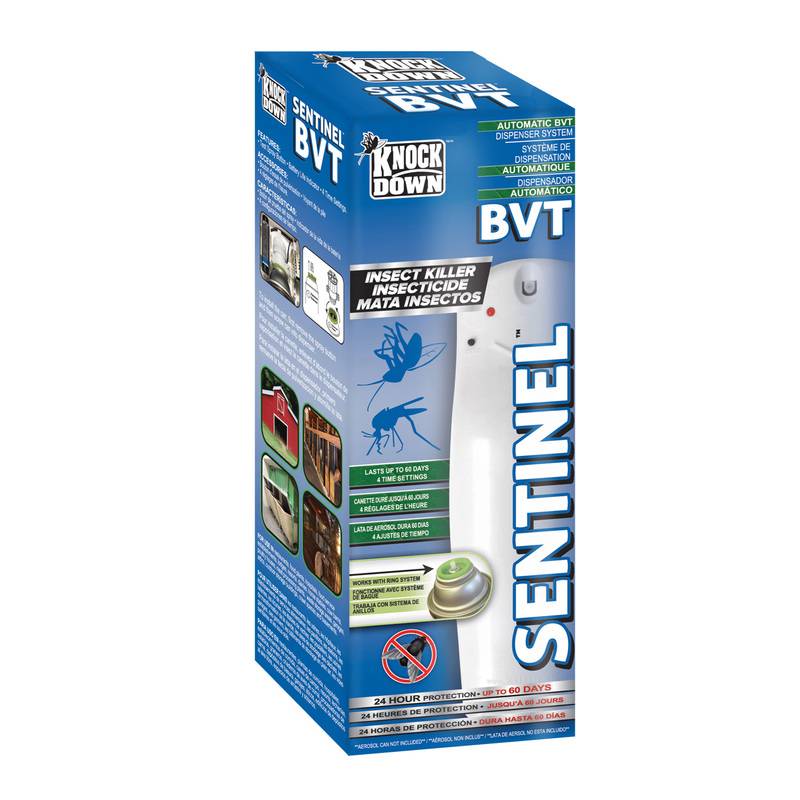 The battery operated BVT dispenser automatically releases a metered amount of insecticide at timed intervals (7.5 or 11 minutes) 24 hours a day for constant protection against insects. One aerosol can will protect a room of 180 cubic meters (6350 cubic feet) for up to 60 days. LED light will change from GREEN to RED when battery life is 10% or less, indicating battery should soon be changed.